Does your residence have a smoke detector? Does your car have a spare tire? Is there a box of bandages in your medicine cabinet? If you answered yes to any of the questions, then you have experiences in preparing for an emergency. These may seem like small things but small things can save lives. Emergencies happen! It can be a tornado, fire, armed intruder, flood, or a water shortage. No one wants to think about accidents or disasters. But being prepared for an emergency can help protect you. The whole point of emergency preparation is to do as much as possible before an emergency happens. Working together, we can be prepared and save lives. The most important thing to remember in an emergency is to stay calm. If something happens, try to get as much information about the situation as possible. Many of us rely on TV, the radio, or the Internet for news. But some emergencies might knock out the electricity, which is why it is important to have a battery-powered radio nearby. Northwest Missouri State University has a plan designed to protect the public, its residents, and property. But you are responsible for your own safety, even in an emergency. This booklet focuses on preparing you by using the following steps: create a plan for you, prepare an emergency kit for your car, residents and/or work, listen for information about what to do and where to go during an actual emergency. 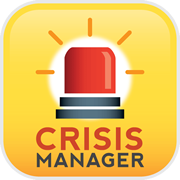 Develop an emergency plan for you. You might not be with someone when an emergency happens. That's why it is important to have a plan in place. Determine how you will reach others in different situations. You might think about a couple of different plans that encompass different emergencies. Consider contacting a friend, or setting up a calling tree or emergency email list. Plan for two situations; staying home or leaving. You should be prepared to stay in one place (like your residence) or to evacuate. Deciding whether it is best to stay or go depends on the type of emergency. Officials may tell you what you need to do. In some cases, limited communication and information may require you to decide what is best for you and your family. Watch TV or listen to the radio to get as much information as possible. Try to stay calm and keep others calm. Before an emergency, decide which room in your residence or place of work is the designated shelter area if you have to stay. The room should be in the interior of the facility and should have few windows and doors. Keep emergency supplies in the designated shelter room. Listen to the television or a battery-powered radio for information. Sometimes it may not be safe to stay in your residence or place of work. Plan where you will all meet outside of your facility. Know where you will go in advance. Plan several different routes in different directions. If you are driving, keep windows and vents closed, and air conditioning and heat off. If you encounter a tornado while driving, exit your vehicle and lie face down in a ditch or low lying area. Bring an emergency supply kit with you. If an emergency happens you might not be able to get food or water at traditional locations for a short period of time. Your electricity may also not be working. Check all of the media outlets (Channel 9, Residential Life Staff, E-mail, KXCV, KZLX) for food, water, or shelter locations and distribution points. Keep a small, portable emergency supply kit in your care at all times. It is important to stay calm in an emergency. Get as much information about the situation as possible. Many of us rely on TV, the radio, or e-mail for news. But some emergencies might knock out the electricity. Make sure to have a battery-powered radio with extra batteries. Northwest, City of Maryville, and Nodaway County all have developed emergency plans. During an emergency, it is important to follow their instructions and advice. They will provide you with the latest information. Know where your medicines and special medical equipment are located in case you need to have someone get it during an evacuation. Equipment such as wheelchairs, canes, or walkers should be labeled with you name. Review your plan regularly. Be sure to check your emergency supply kits and keep them updated. Emergencies can affect anyone, but by being ready, you can make the decision to take an active role in you your safety and the safety of others.